Every shop can use a sawhorse or two and every woodworker can make them with free sawhorse plans that are simple to build and will be some of the most frequently used tools in your garage or shop. 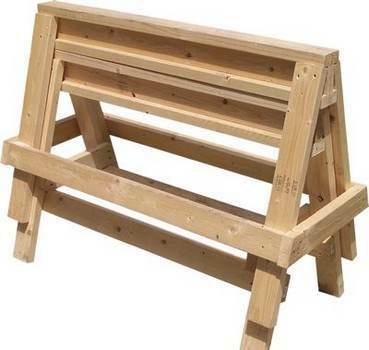 There are many variations of sawhorses and with the choices available, there is sure to be a style to suit your needs. Build a wide sawhorse that doubles as a small workbench. This is a great option for the builder that needs a compact, portable workspace. Sawhorses can be built in a variety of configurations. Stackable sawhorses are a popular choice. 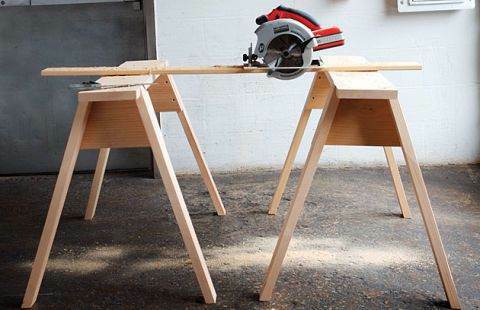 There are plans to build a tool-toting sawhorse that does double duty as a toolbox. 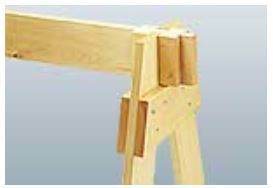 A five-legged sawhorse is unique and gives added stability. 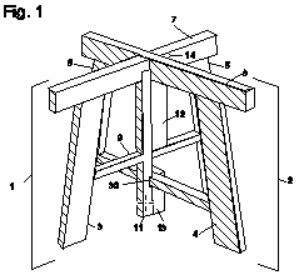 There are also plans for a foldaway sawhorse that converts to a vise table. This wooden sawhorse is a more advance project since it has some tricky angles. 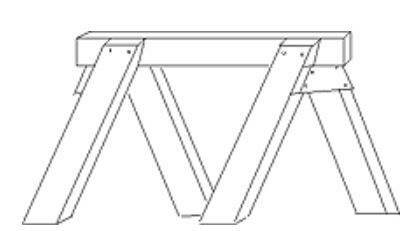 Build a sawhorse with free plans that can be easily taken apart and stored away. 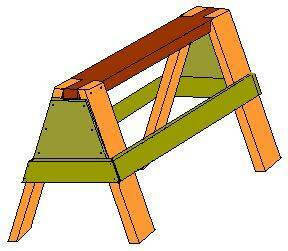 Build a strong and sturdy wooden sawhorse that has a multitude of uses by following this plan. 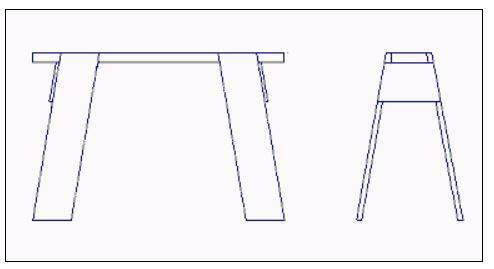 This plan is for a sawhorse that has a wider top working surface than the basic sawhorse. Here are five different sawhorse designs to help you build the one that best suits your needs. This design is sturdy, light weight and long lasting. With just a few tools and wood scraps found in your workshop you can build a strong and sturdy sawhorse. Build a simple sawhorse for your workshop that will come in handy and has many uses. 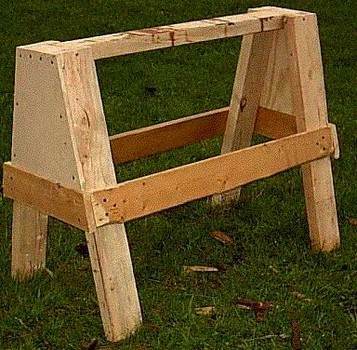 Build this sturdy sawhorse that has five legs and is easy to store.